A drone (otherwise referred to as an Unmanned Aerial Vehicle) are technically defined as any aircraft without a pilot onboard. A commercial drone is a subcategory of a drone that’s used for commercial purposes. 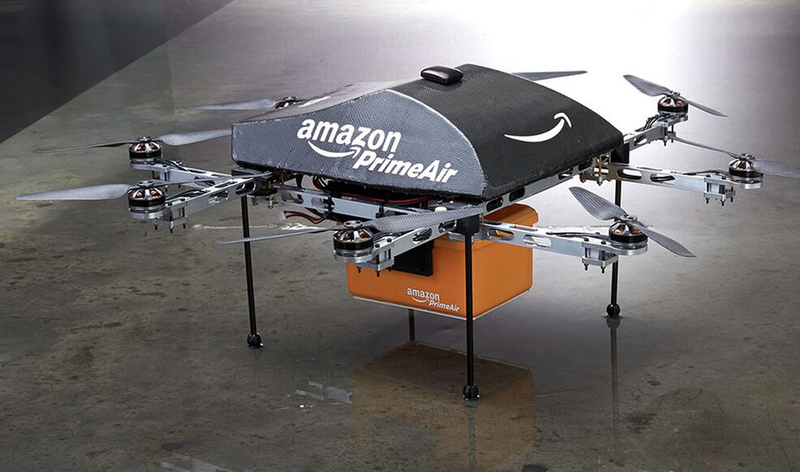 For example Amazon’s prime air service (shown on the right) which plans to deliver packages through commercial drones. There are other types of drones such as those used by the military and those used personally by hobbyists. My study will focus on commercial drones, their economic impacts and the regulations that surround them. There are various industries that will be impacted by commercial drones at one point or another. How much of an impact they have or when they start to have an impact depends heavily on the development of drone technology and regulations that limit drones.